Maxine Taylor interviewed Catherine Carrigan for a medical intuitive reading about James Comey, former head of the FBI. To read the blog about it, please click this link. You can read testimonials from clients who have been helped here. 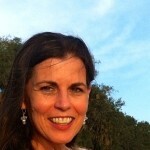 Catherine Carrigan has 24 years experience in natural healing.